Lingering supply concerns have kept most copper and brass scrap prices insulated from terminal market weakness, although a production disruption at one brass mill could change that by freeing up No. 1 bare bright material. 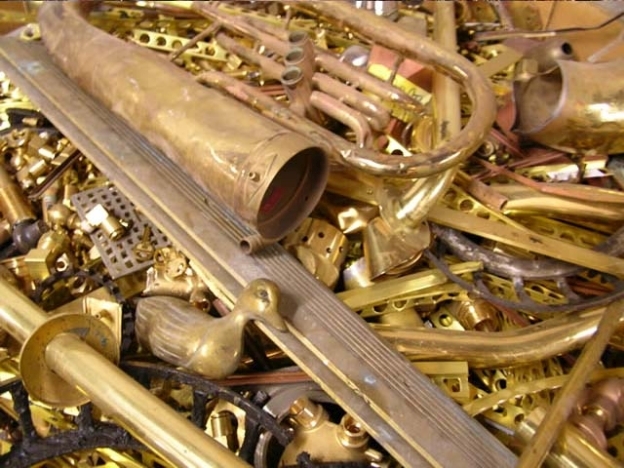 Red brass scrap grades lost some footing amid continued weakness in primary metal prices on Comex, with brass ingot makers’ No. 1 composition solids falling 2 cents while discounts for No. 2 copper increased by a penny on the low end of the range. 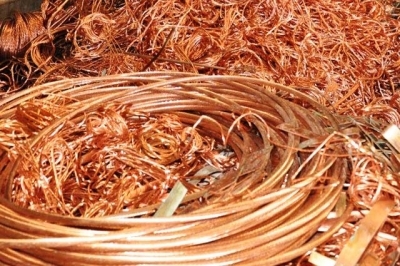 Most copper and brass scrap prices have been shielded from substantial drops on Comex over the past few weeks as consumers remained aggressive with bids due to heightened competition abroad and at home. The July-delivery Comex copper contract settled at $2.0785 per pound May 18, down 1.2 percent from $2.1035 per pound the previous week. 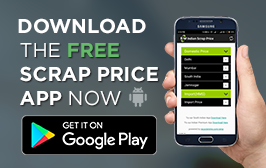 “For the obsolete scrap, it has been supply and demand pricing. Industrial grades tend to run with the rise or fall in the terminal markets,” one consumer source told. Persistently slow inflows of material have sparked uncertainty over whether product that had been purchased for delivery over the next month will arrive, one supplier noted. “Some guys are worried they’ve bought nothing but paper,” the supplier said. Refiners’ and brass mills’ scrap discounts were unchanged, but some market participants suggested that some of the heat could be taken off of No.1 bare bright supply as a result of a temporary production disruption at Olin Brass’ integrated mill in East Alton, following an equipment failure. Brass mills’ No. 1 bare bright discounts have ranged from flat to a penny over the past few weeks, with supply tightness and firm demand sustaining pricing pressure. “I know for sure some of the copper suppliers are going to change their spreads because a lot more (No. 1 bare bright) copper is going to be available,” a second supplier said. Other market participants said it’s too early to tell how the temporary disruption will affect copper scrap price spreads. A third supplier indicated it could take a few days for the news to trickle through the market, noting that the effects will be mitigated due to current supply concerns. “It won’t mean much for ingot makers now, but material is going to make its way to us eventually. It will make things cheaper,” one ingot maker said.